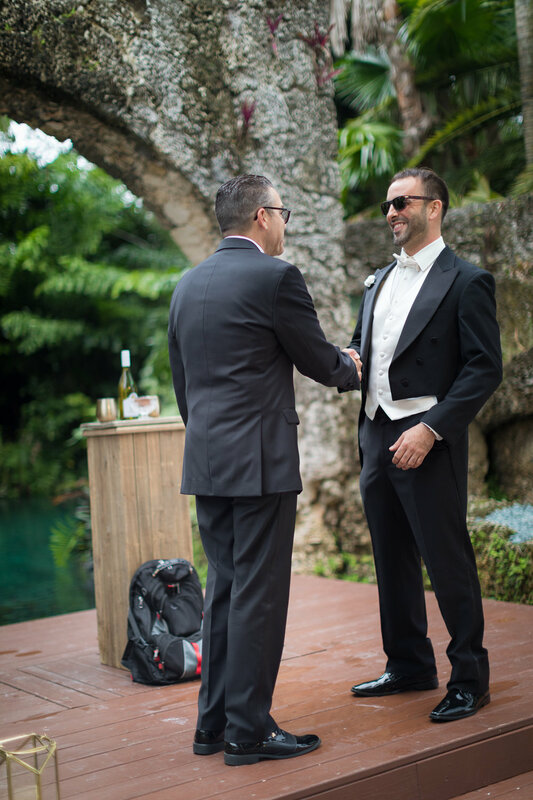 Have you ever been to the Secret Gardens of Miami? 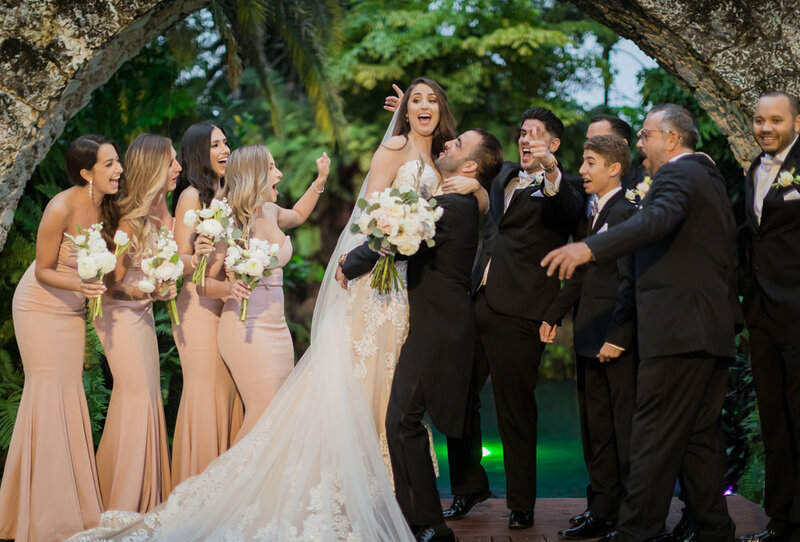 it is bursting at the seams with Miami’s tropical agriculture and it was the perfect location for Danielle & Alejandro’s wedding! 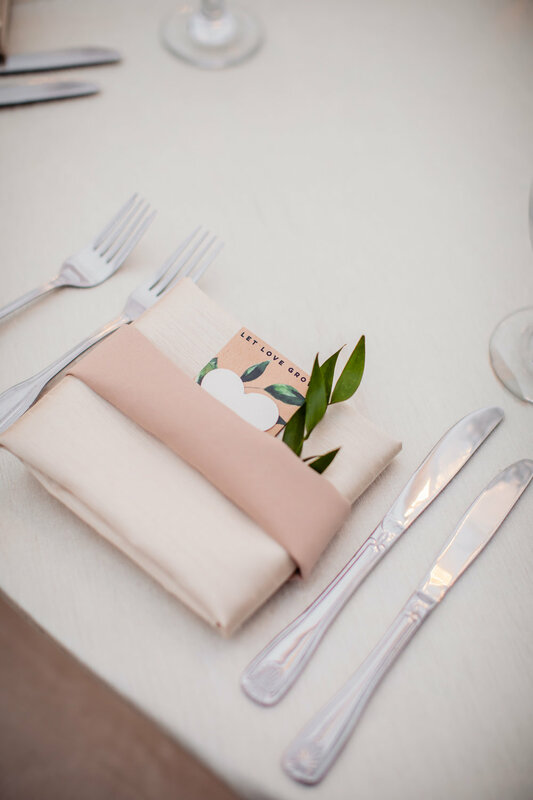 Danielle & Alejandro entertained 150 members of their family and friends in a gorgeous Miami wedding with a color palette of neutrals, crisp white, and a beautiful muted mauve tone. 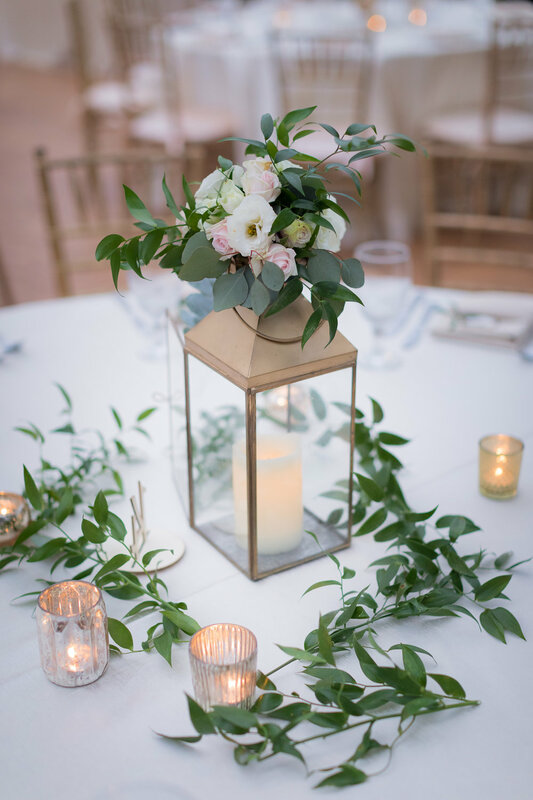 The mauve tone in their color palette showed up a few times on their wedding day, you’ll get to see the tone below in photos below of the bridesmaid’s gowns and on their tablescapes! 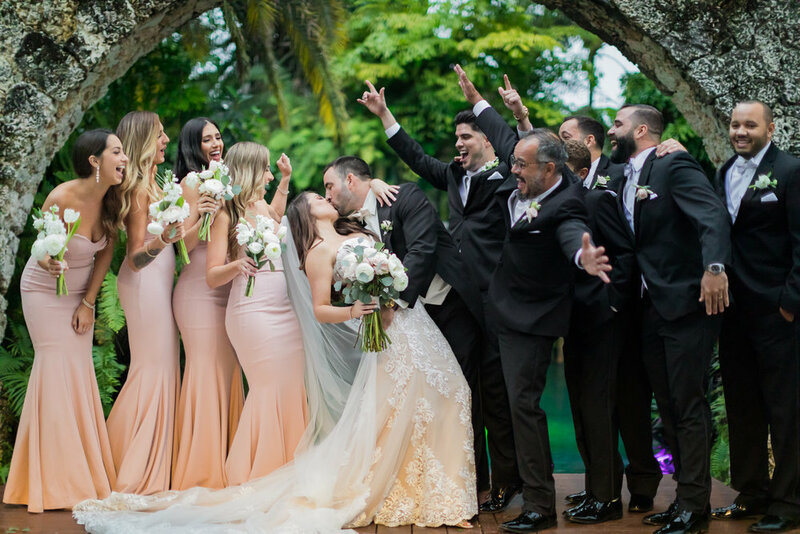 To kick off their wedding day, the bride and groom spent a little time with their respective wedding parties while they got ready and had a quick cocktail before the ceremony got started! 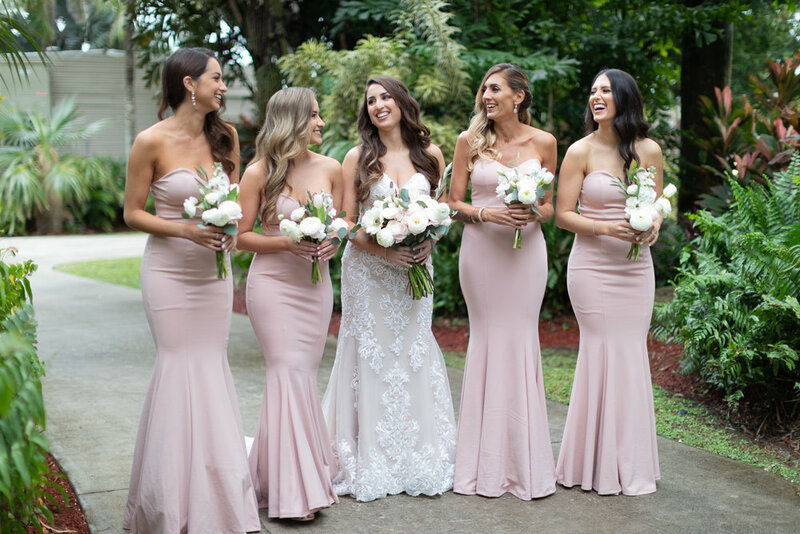 Danielle and her bridesmaids were absolute perfection walking up the ceremony in their matching style sweetheart neckline trumpet gowns under the cafe lighting at Secret Gardens of Miami. 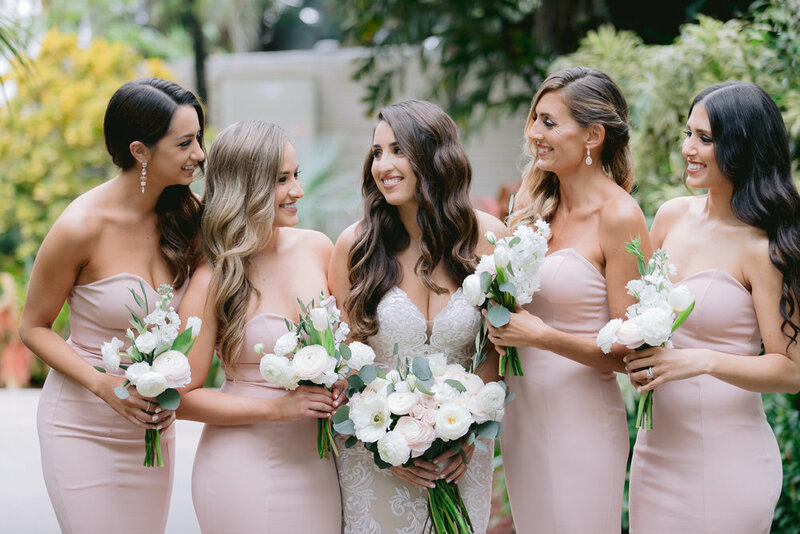 Both the bride and her bridesmaids carried matching all-white wedding bouquets stuffed with greenery, the perfect touch to accent the mauve bridesmaids gowns! 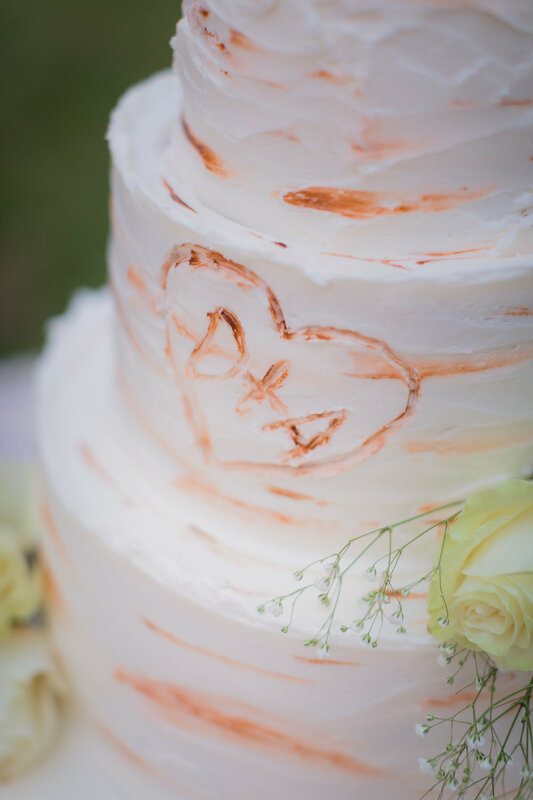 If you are a total sucker for sparkler exits, wait until you see the epic one we captured! 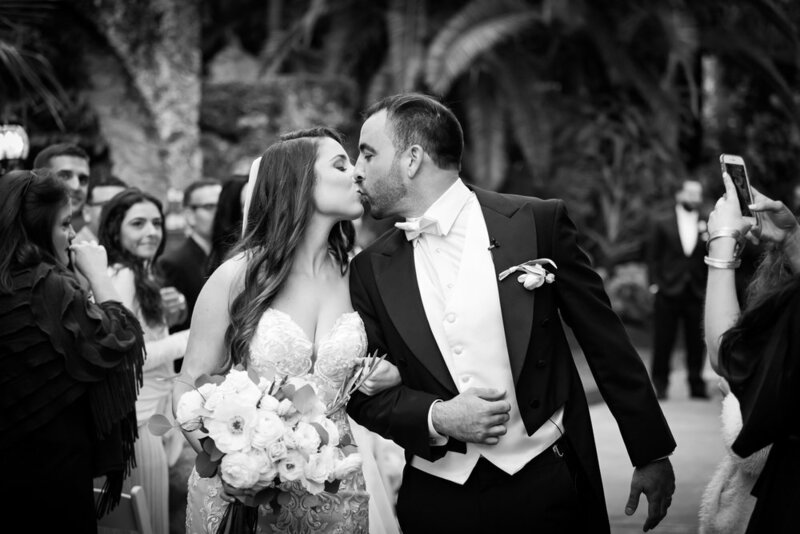 Danielle & Alejandro danced their way through the exit line, embraced one another, kissed, and Alejandro even lifted his bride right off of her feet in a sweet move to end their beautiful wedding day. 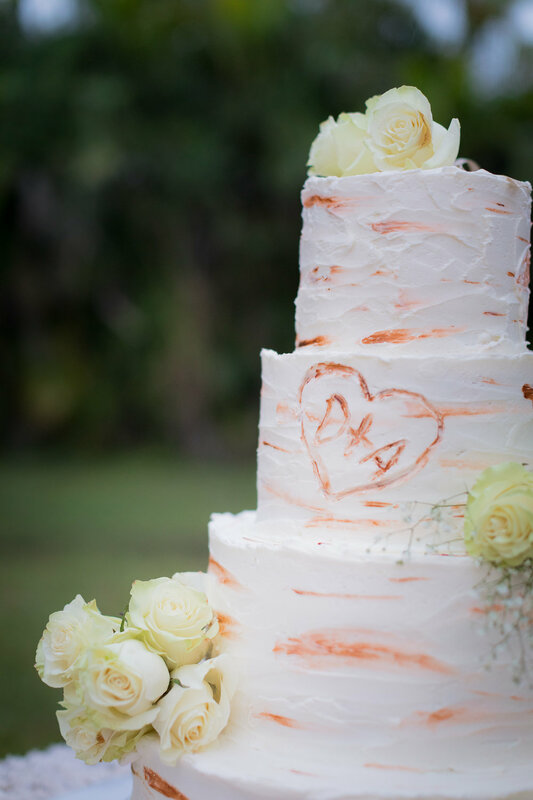 Keep scrolling to see more moments from Danielle & Alejandro’s wedding at Secret Gardens of Miami!